The “Bull of The Woods” in 1901 when he wore mutton chops instead of the full beard he had during the war. This was three years before he died. There are more attractive photos of him during the war, when he was younger, but none have the splendor of this uniform, with belt and sword. Dress uniform, perhaps, or some sort of veteran’s outfit? And is the strap over his left shoulder for a binoculars case, or something else? Note the Knoxville studio’s imprint at the bottom of the CDV. Via the Tennessee State Library & Archives. 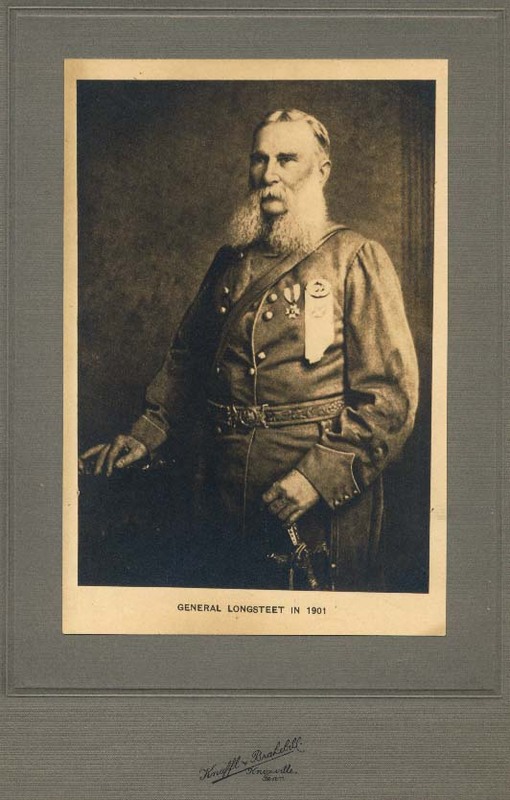 This entry was posted in Gen. James Longstreet, Knoxville and tagged Gen. James Longstreet, Knoxville 1863. Bookmark the permalink. Veterans getup, without a doubt. 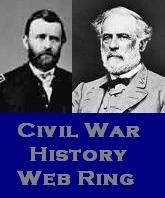 All of Longstreet’s memorabilia was destroyed in a fire in 1889 that leveled his farmhouse near Gainesville, GA. Thanks, Harry. I forgot about that fire. It doesn’t look much like a wartime uniform, either.